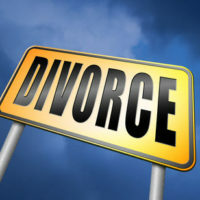 Going through a divorce is never an easy process, but if you have an inheritance or trust fund, you may be worried if it will be subject to division during your divorce settlement. While each situation is different, there are a few rules that might help you determine if your trust fund or inheritance will be subjected to division with your spouse. Texas is a community property state. This means that couples are required to fairly divide all jointly owned property. While this sounds simple enough, identifying which property is community property and which property is separate property (owned by only one person) can be complicated. Typically, a trust fund is considered separate property if you can prove that it is yours and yours alone. Your spouse must not have any claim to it at all. There are a few situations that can change that rule, however. A prenuptial agreement is a binding contract that determines how all property will be divided if the parties divorce. The couples who agree to the prenuptial agreement must do so voluntarily and both parties must sign the agreement before they get married. Each person must disclose their full financial information to the other person and give each other the opportunity to discuss the agreement with an attorney before they sign the document. Depending on agreement, the trust fund could be subject to division during the divorce if it specifically says so in the agreement. In Texas, separate property can be claimed which allows you to prove that the trust fund belongs only to you. However, if you have commingled, or mixed, your separate trust property assets with marital assets, the court could order you to give part of that money to your spouse. If you funded your trust with separate funds, you must be able to trace that contribution through documentation or receipts that show the source of separate funds. Because of this rule, it is important that you keep your funds separate by placing them in a separate account rather than a joint account, limit the access to the account by your spouse, do not use the funds to pay marital debt, and don’t use the funds to help pay for a family home or other family property. Whether your trust fund was created through separate property or marital assets, the court will include any income you receive from the fund as part of your total assets when determining spousal and child support. This applies whether you are the party receiving the support or the spouse paying the support. The court will include the income in the calculation of the support and determine how much you will receive. If you have made mistakes as mentioned above, you may still be able to prove that your trust fund is a separate asset. It could be more difficult, and an experienced attorney will know how to prove that your trust fund should be yours only. The Houston attorneys at Lindamood & Robinson, P.C. have the knowledge and experience to help you protect your assets. Contact us for a consult today.